Nutrition is mostly the favourite topic of discussion and these food myths are created either unintentionally based on personal experiences and word of mouth or intentionally as a marketing strategy in order to gain commercial benefits. Here we will discuss some of the popular beliefs about foods that are not true. Apple and banana are rich in iron. Apples and bananas are rich in iron as they turn brown when exposed to air. They turn brown because they contain an enzyme tyrosinase which when exposed to oxygen cause discolouration of fruits . The iron content of apple is 0.7 mg/100gm and banana is 0.4mg/100gm which is quite low as compared to other iron rich foods. Hormones are injected in poultry. Hormones are injected in poultry which is the main reason of early maturity or infertility, in girls, but the fact is hormones itself are far more expensive than chicken and it is not economical to give hormonal injections to chickens. Any hormones if present in food are denatured during cooking and in digestive track so there is no negative impact of eating poultry to the consumer. Many people think that honey or brown sugar are better than sugar and can be taken if one is planning to restrict sugar in diet. However the only difference between them is the amount of micronutrients present. All three provide equal number of calories and there is not much difference in the reaction of these products in your body. Eggs are rich in protein, fats, vitamins and minerals. One boiled egg contains about 5 gm of fat most of them are unsaturated . It also contains omega 3 fatty acids which is good for heart. As part of a healthy diet one can consume about 6 eggs in a week. Many people believe that cholesterol present in them may elevate blood cholesterol level. But the fact is ,cholesterol in egg has no effect on blood levels. A popular belief is that egg yolks are harmful for elderly and young children,as they contain more fats and cholesterol than whites. However the truth is egg as whole is a combination of essential amino acids and fats and should be consumed regularly by all age groups. Also egg whites contains allergy causing amino acids and are not recommended for children before 10 months. One of the most common food myth is that all carbohydrates sources can lead to weight gain and obesity. 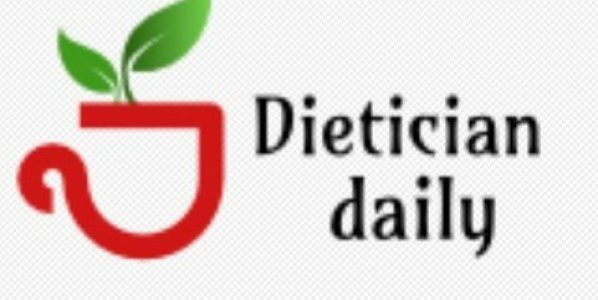 This idea is mostly incorporated in minds by fad diet advocates who suggest to reduce carbohydrates to less than 50 grams per day. However the truth is carbohydrates should be consumed as the main source of energy . Carbohydrates is the form of energy that is present in all fruits and vegetables as well as in desserts and carbonated beverages, so choice of food is essential ,not restricting yourself to certain macronutrients. Eating sugar does not directly cause elevated sugar levels in blood. It is a common misconception that a person who consume more sugar are more at risk of developing type 2 diabetes. Type 2 diabetes is a metabolic disorder in which many factors are involved which includes family history, obesity and lack of exercise and is not associated with consuming more sugars. A healthy balanced diet is the best way to get all the vitamins and minerals needed to perform body functions. Vitamins and mineral supplements should only be used to cover any micronutrient deficiencies and when the diet is not adequate and lack of those nutrients. Certain foods can detoxify your body from wastes. Detoxification is the natural process constantly occurring in your body by liver and kidneys. No food has the ability to detoxify your body from wastes.